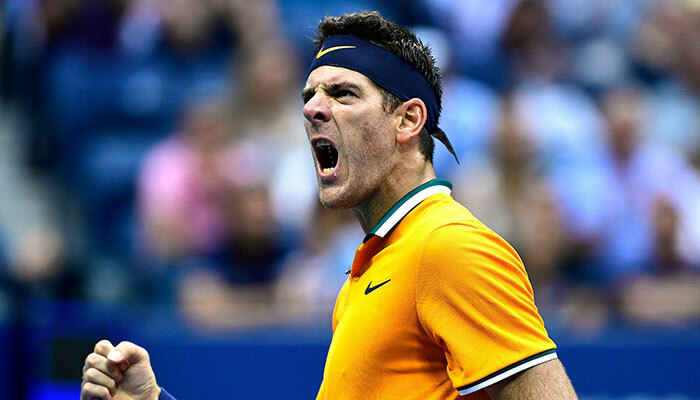 NEW YORK: Juan Martin del Potro set up a US Open final clash against Novak Djokovic on Friday after defending champion and world number one Rafael Nadal quit his last-four clash against the giant Argentine with a knee injury. “We have never met in a Grand Slam final. I have tremendous respect for him as a person and a player. He’s a great guy,” said Djokovic who missed the 2017 tournament through injury. “I hate to retire,” said Nadal, a player plagued by a series of knee injuries throughout his career.